Woman found under bridge Cairns identified as Claire Tucker. After the races, Claire was found unconscious under a footbridge. Now she needs your help. Claire Tucker is the kind of woman you can’t help but love. The kind of woman who collects people – friends – over the course of her life, keeping them close and holding them tight. She’s a “spiritual”, “intuitive” kind of woman. One who is raising the “perfect” kind of son, who is “beautiful” and well-behaved and of the same character as his 36-year-old mother. Her five-year-old boy, Zephyr, visits his mum in hospital, paints each of her toenails and brings her different kinds of pictures. He visits his mum just to tell her he loves her. As Zephyr runs in and out of Cairns hospital to bring his mum things and to give her special messages, Claire Tucker lies in a coma in a critical condition. She has injuries that include brain trauma and broken bones in her neck, back and spine. It is believed her brain injuries are so severe, the mum-of-one will have permanent brain damage if she survives. On Saturday night, at about 9pm, Ms Tucker was found at the bottom of a highway footbridge after falling following a day out at the Cairns Cup. A passer-by stumbled upon her limp body, clad in a white and pink floral dress and matching pink racing hat, clinging onto life, lying still, unconscious. Police are still looking for witnesses, but at this stage told Mamamia there is nothing about the fall that suggests it was suspicious. Now, friends of the beautician have set up a GoFundMe page as a means of raising much-needed funds as Ms Tucker lies in hospital, her salon closed indefinitely, and her medical bills growing by the dollar. According to one of Ms Tucker&apos;s best friends Selina Taylor, she is one of the most "kind hearted" and "generous" people. "She&apos;s so loved, she is a friend of everybody. She is just one of those one-in-a-million people, so kind and generous." Ms Taylor says her and Ms Tucker have been best friends for 30 years, with a handful of other great friends they met in primary school in Cairns. Sure, she says, they have moved around, but they&apos;ve always come back to Cairns. Cairns is home. As for Ms Tucker&apos;s prognosis, Ms Taylor says they are doing their very best to - all things considered - be positive. "We have always been positive no matter what. We have always been known as people who are really positive, but realistically it&apos;s not looking good." Ms Taylor talks quickly, and with great affection when speaking about little Zephyr. He is so loved, she says. A village of people behind him ready to hold him and love him while his mum lies in hospital. "He is so beautiful, she has done the most amazing job. From a baby, he is just someone she has bought everywhere. She has basically done everything on her own, she has run a small business from her home. "He is just so beautiful. We always would say to her she was so lucky to have him because he is so perfect." Primarily, Ms Taylor says, the fund is set up for day-to-day bills. "We set this up for Zephyr, because not matter the outcome, he is going to need money for the future. He is only in kindy. He isn&apos;t even at school yet." More than anything, she, her girlfriend Sammy McDornan and their other strong tribe of friends, are thankful for the "overwhelming response" the fundraiser has received so far. "It puts your faith back in humanity, and shows there are some really good people out there. It&apos;s touched a lot of people. "It&apos;s so scary because it can happen to anyone. We all like to get dressed up and go out and have a few drinks. It&apos;s just really horrible." If you would like to donate to the fundraiser set up for Claire Tucker, visit GoFundMe here. 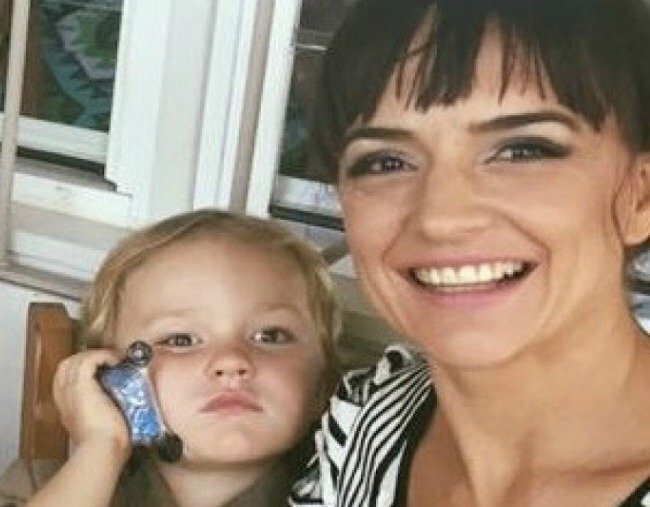 The money will cover the mum&apos;s day-to-day expenses and the future of little Zephyr.